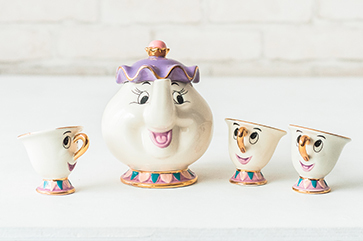 You can purchase these unique gifts wholesale from the manufacturer! We offer you more than 200 interesting, trending products, produced in-house by us. Become a partner of Notta & Belle! 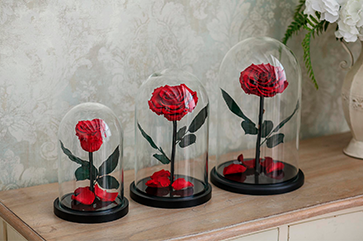 Rose is created on a basis of the "The Beauty and the Beast" fairy tale! We use stabilised roses grown one our own plantation in Ecuador. 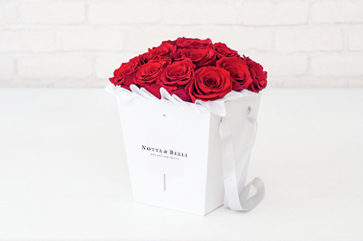 Due to the special stabilisation technology, the rose will give you at least 5 years of pleasure. We have 6 roses types and sizes, from small to huge, 16 different colours. The teddy bear is created on a "Teddy Bear" basis, which has been popular for more than 20 years. 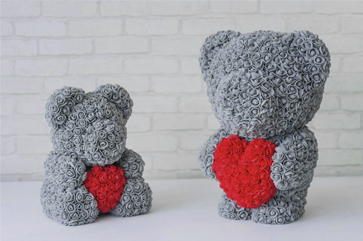 We create our bears by hand using latex 3D roses. This is a new material that only has appeared on the market recently. It is absolutely safe and does not cause allergies. Stabilised rosebuds are increasingly popular - even florists often prefer them to ordinary flowers. A number of advantages favorably distinguish them from other flowers – the rosebuds remain fresh for 2 to 5 years and look very natural. We have 6 rose types and sizes, from small to huge, in 16 different colours.